I’ll be adding this to my wish list. 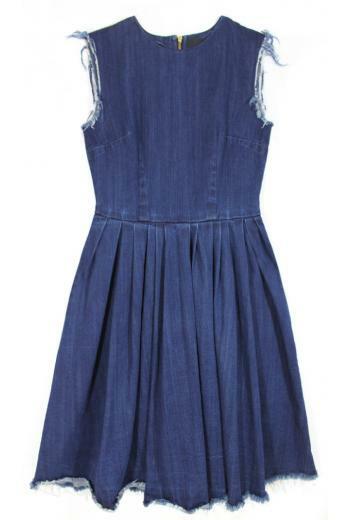 Love this denim dress by Cynthia Rowley, perfect for Sunday brunch, or for an edgier garden party look. This frayed frock is available here for $350. This entry was posted on Monday, May 23rd, 2011 at 5:09 pm	and tagged with Canadian Tuxedo, Cynthia Rowley, Denim, dress, Fashion and posted in Fashion. You can follow any responses to this entry through the RSS 2.0 feed.